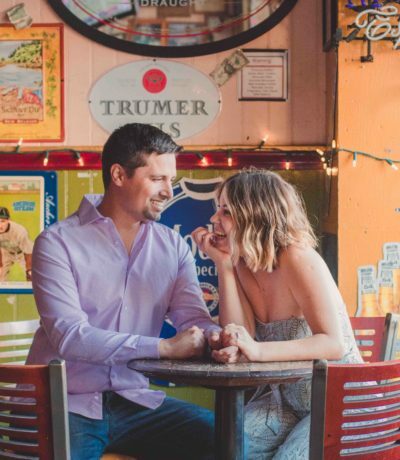 I’m so excited to say that things are finally moving along and I feel like we’re making progress with wedding planning! 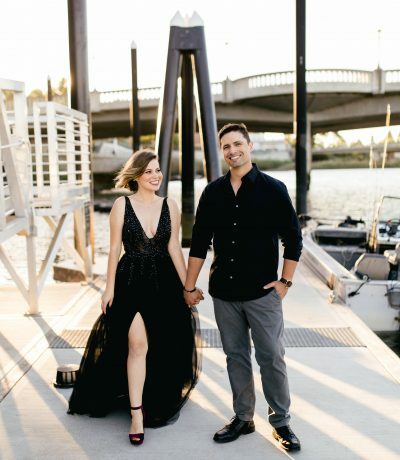 As of now, we’re less than 8 months out and it’s time to send our Save The Dates! Ahh!! If you’ve been on the fence whether to invest in wedding Save the Dates cards, I feel you. 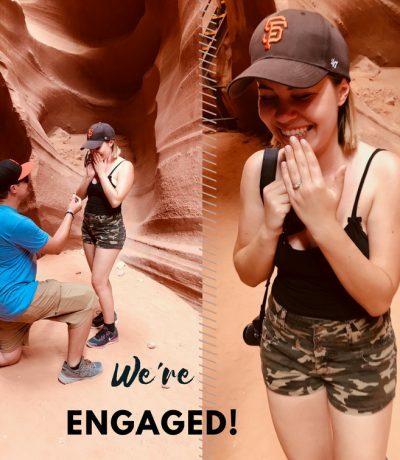 I debated long and hard whether it is something we need to include in our budget and after a few conversations with friends and some wedding experts, we decided to do it. After a bit of research, we chose Minted to be our wedding stationary supplier and we couldn’t be happier with our decision! From the accessibility and convenience to all of the beautiful designs they offer, I have to say my OCD alter ego definitely loved how easy it was getting through this process. Along the way, I learned a few helpful things that will make your design process very efficient and enjoyable, so keep on reading! Do include your wedding website on the card. I CANNOT stress this enough. Most likely, your guests will have a ton of questions regarding your wedding no matter how many times you already talked about it. If you don’t want to spend your time answering to everyone (and repeating yourself on and on), sending them to your website is your best bet. 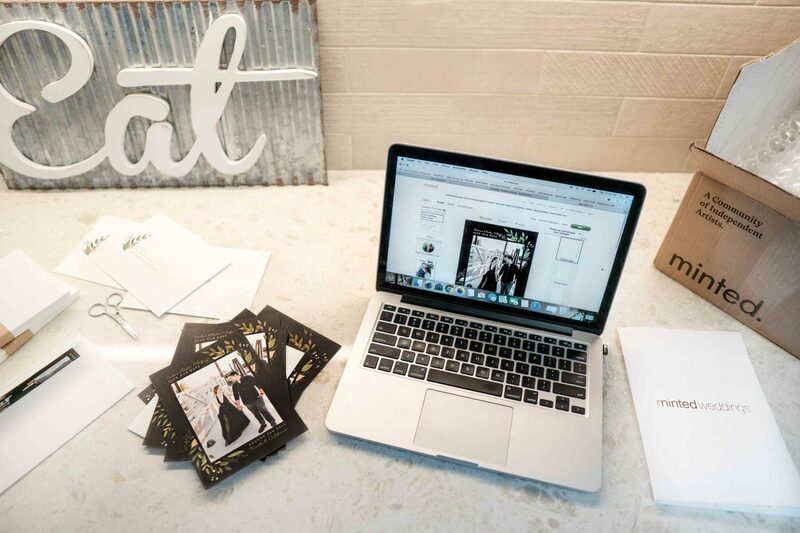 Designing your wedding website is super easy and you can do it with Minted for free! I highly recommend looking into to. You will thank me later! Pay attention to the design details. They say Save The Dates set a tone for your wedding and I couldn’t agree more. When designing our cards, I made sure they represented what our wedding is going to be like. Since our venue is surrounded by the woods, I thought the greenery elements on the card were giving off the right vibe. We also want our wedding to feel like one, big party where we don’t take ourselves too seriously – hence the photo of us dressed up but relaxed and smiling. It just felt like us! Keep in mind your future formal invitations. When choosing and designing our Save The Dates, I already went ahead and selected a few options for our wedding invitations. Why? I think it not only helps you stick to the overall theme of your wedding but it also kills two birds with one stone! Anything to save time and make your life easier, right? Select a recipient address printing option. Another helpful thing that will ultimately save you time is uploading a spreadsheet of your guest addresses to your Minted address dashboard. They have (a limited time FREE) option to print all of the guest addresses so why not do it?! It’s not only a great time AND money-saver, but you also end up with beautifully designed envelopes! 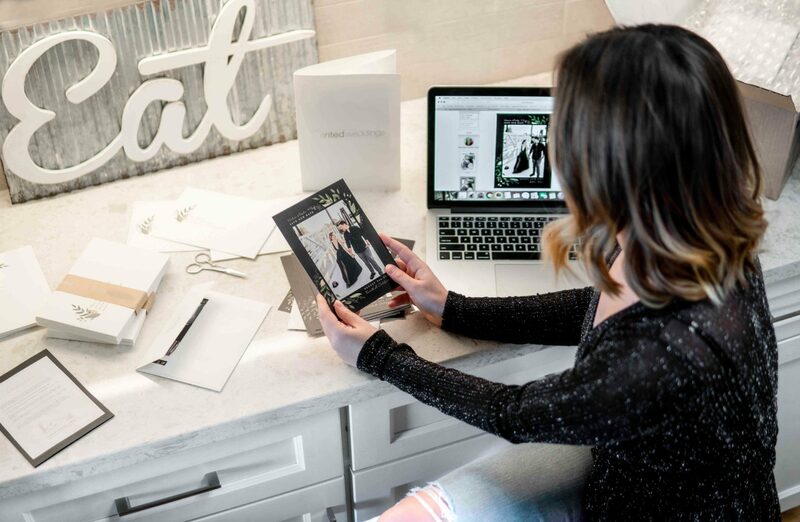 Trust me, your guests will be so impressed they won’t want to throw away the envelope after opening it… I’ve seen it happen! Do include the artist mark in the back. 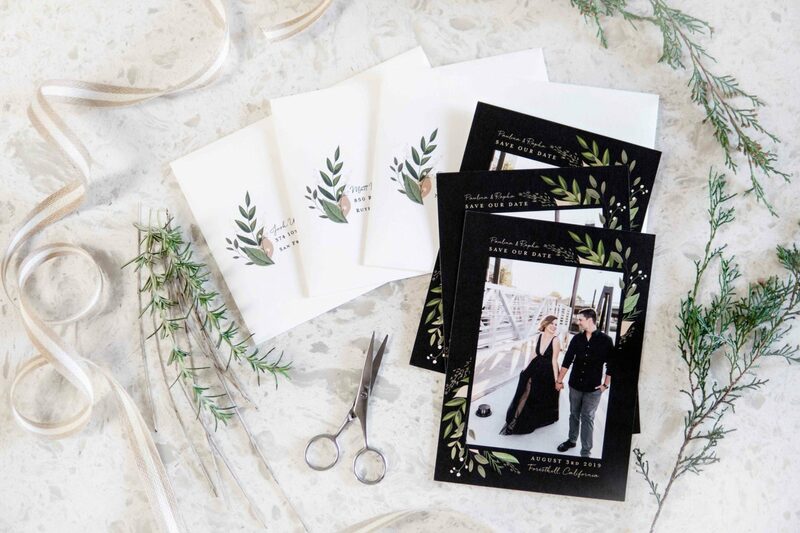 Minted offers 10% off your purchase if you choose to print the artist’s mark on the back of your card to show that you supported an independent designer. How amazing is that?! Unless you need a lot of space in the back of your card, I highly recommend considering this option! It’s a win win for both. Send your cards 8 to 12 months in advance. You might think people that matter to you the most will remember the date of your wedding, but you could be surprised! I have friends who are in the stage of their life when they attend up to 10 weddings a year (!!!) so it’s highly possible they might forget or confuse our date. 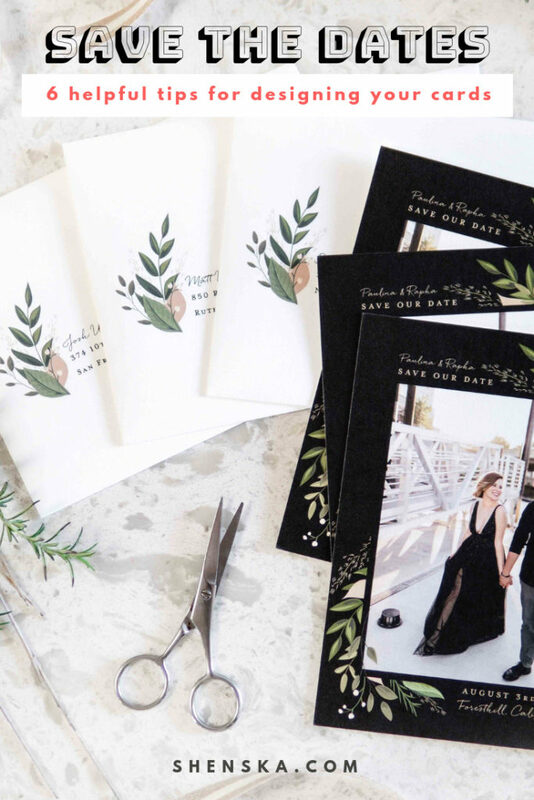 Sending your save the dates in advance is not only a kind reminder and a sweet keepsake, but it also helps alerting out of town guests who might want to start thinking of their travel arrangements sooner than later. 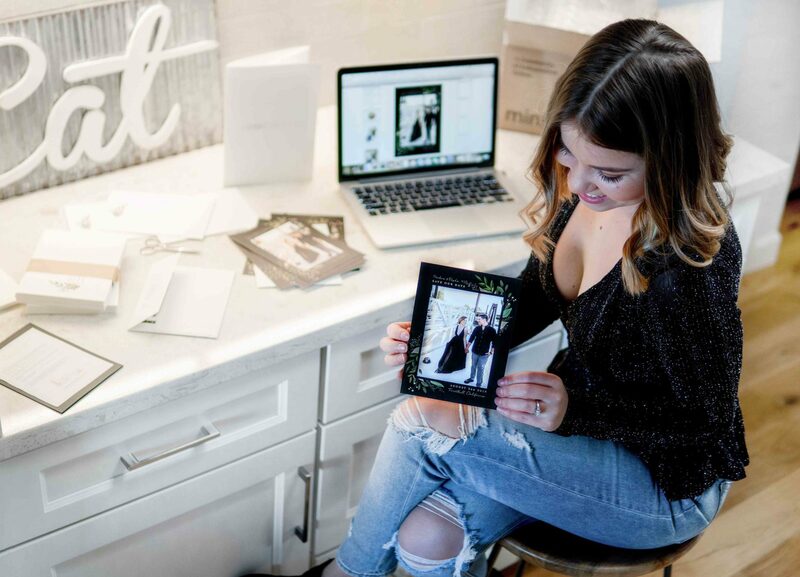 Do you have any tips for choosing and designing wedding Save The Dates? I would love to hear them! To save these tips into your Pinterest board, hover over any photo and click on the Pin It button in the right top corner. Thank you for sharing the love! these turned out sooo beautiful!! Minted has the prettiest designs! Love how your save the dates turned out. How exciting! I agree! It was so hard to choose just one design because there’s so many that we loved! This is sooo cute dear! Really excited for you two.